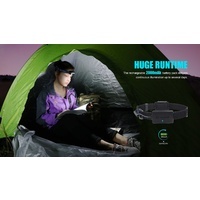 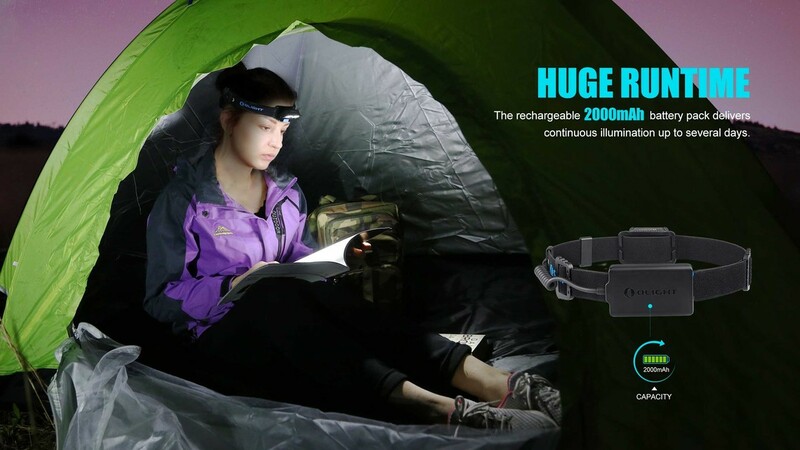 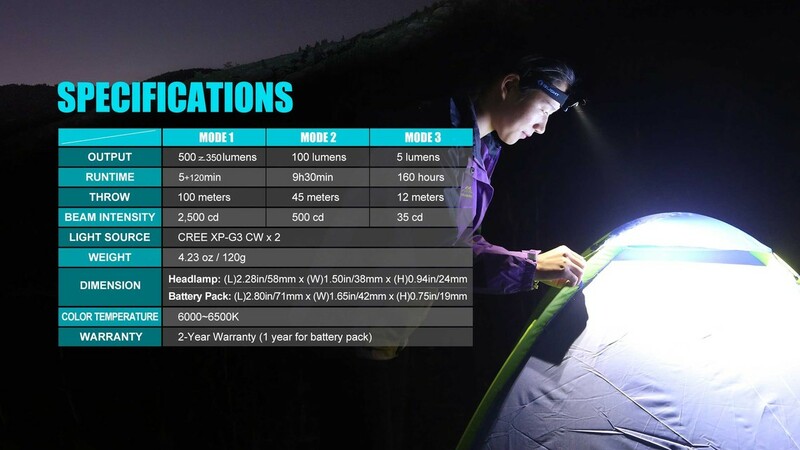 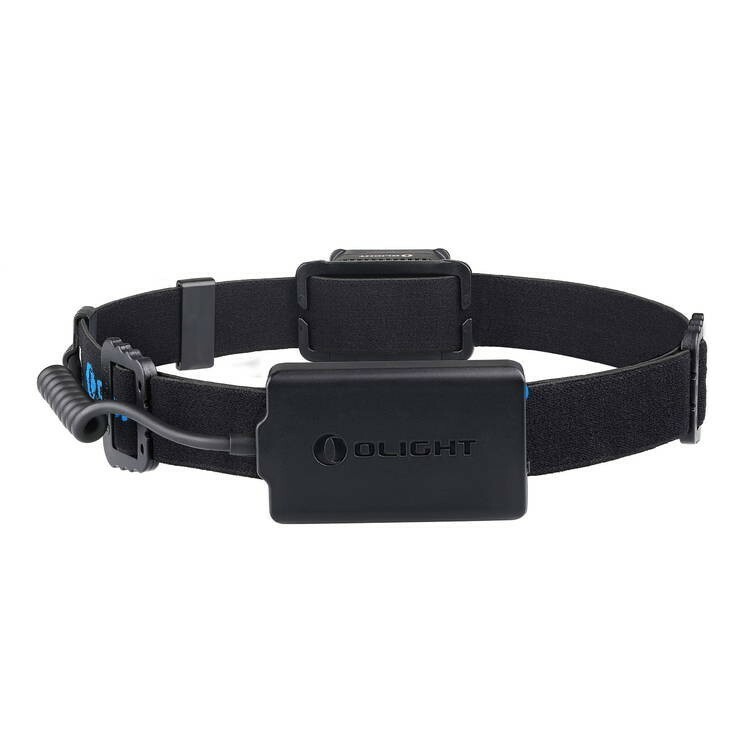 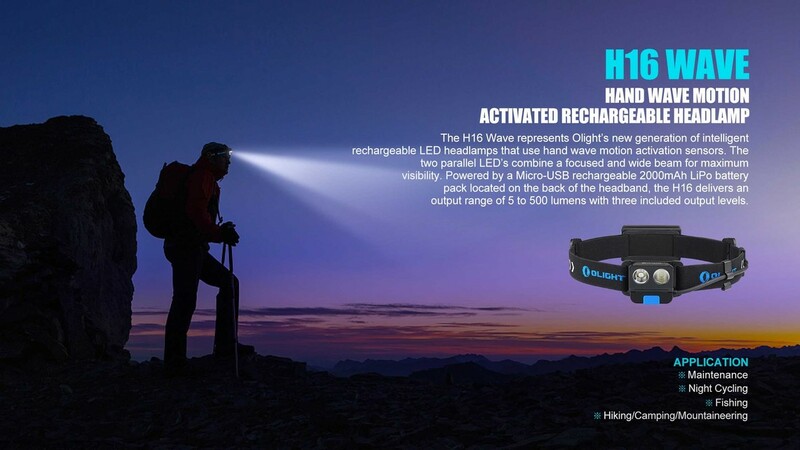 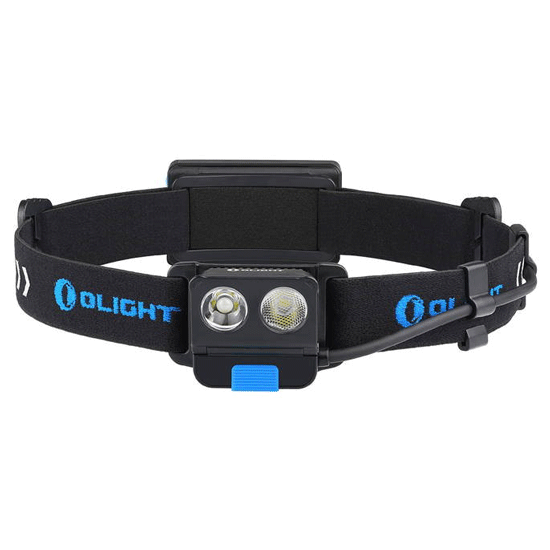 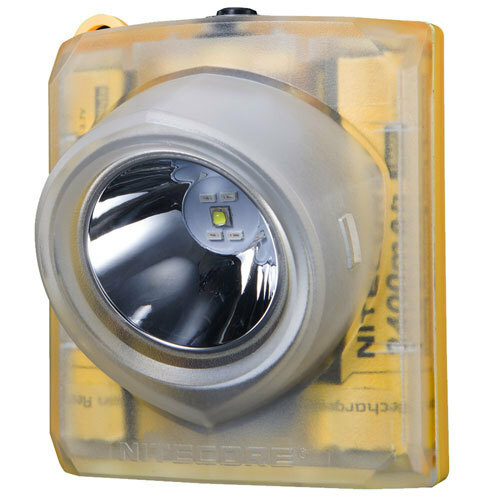 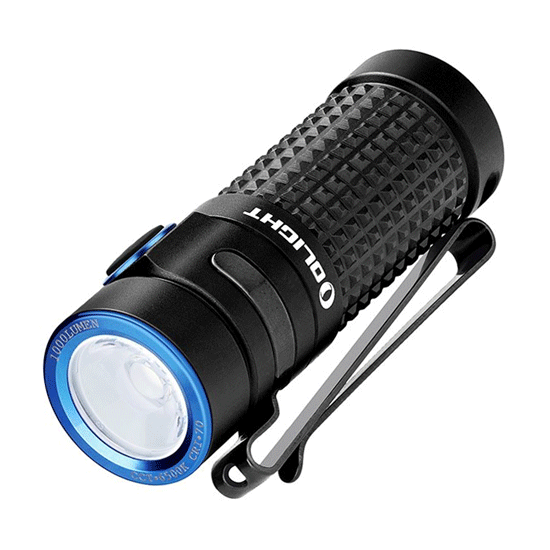 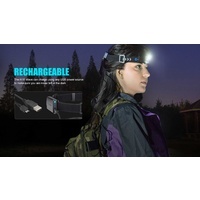 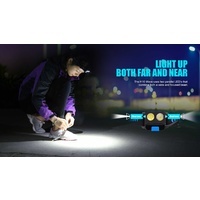 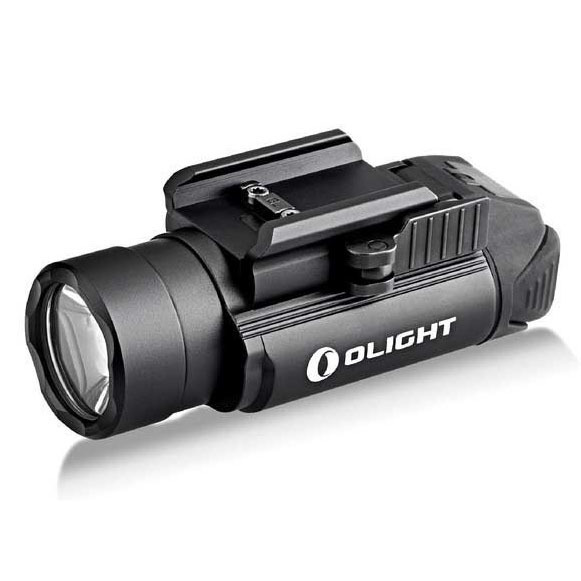 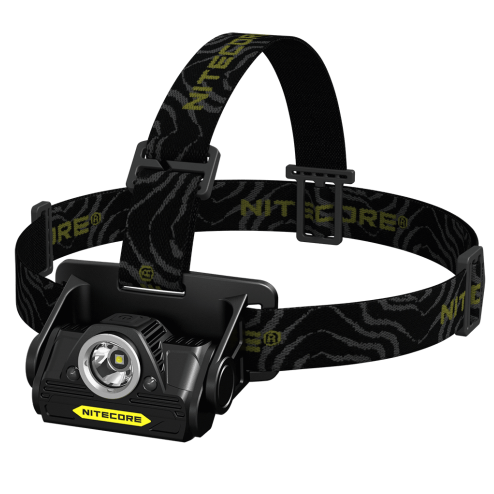 The Olight H16 Wave Motion Activated Headlamp features two bright CREE XP-G3 LEDs and runs on a built-in rechargeable Lithium Polymer battery pack. 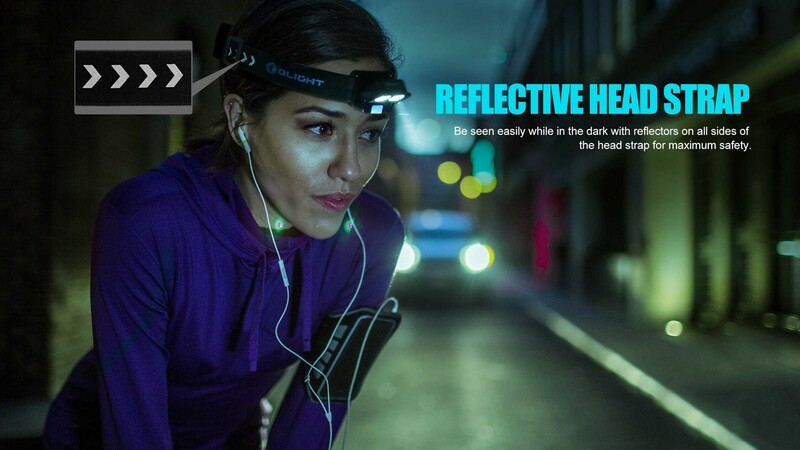 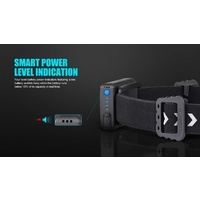 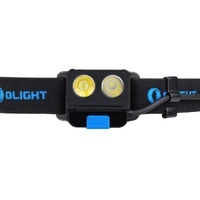 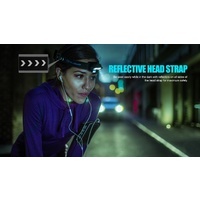 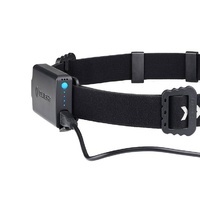 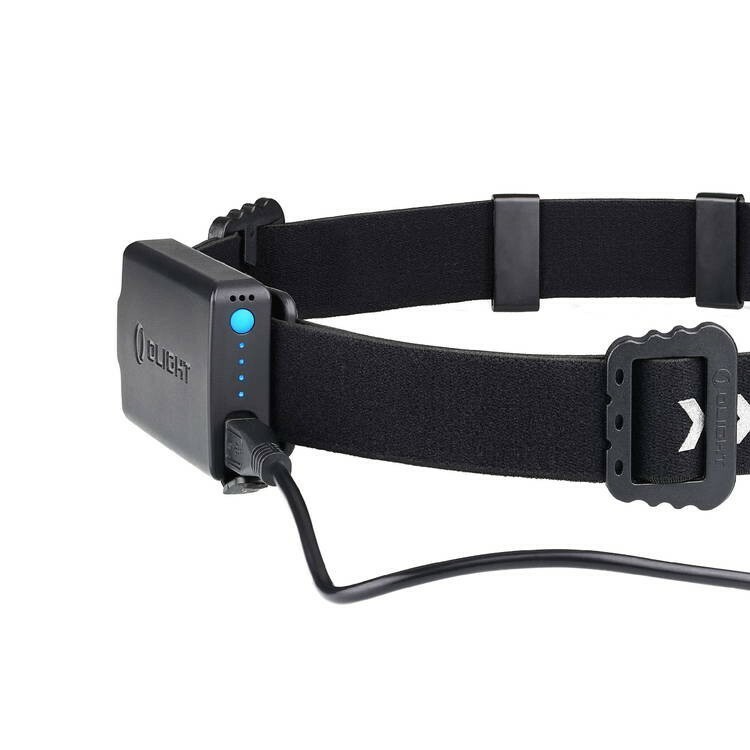 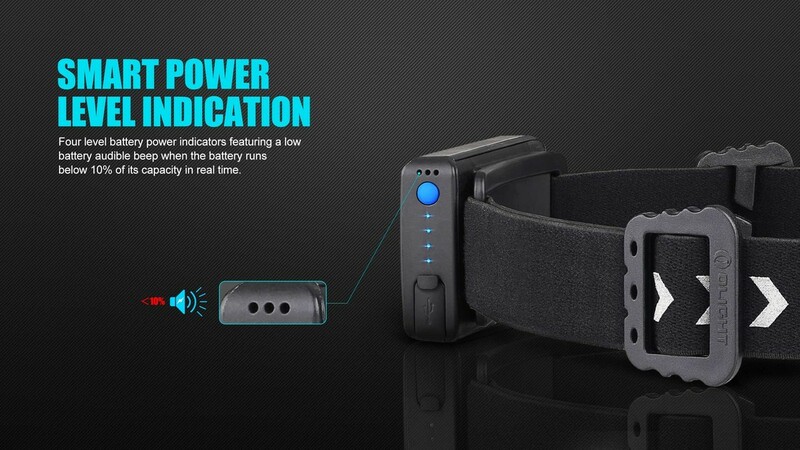 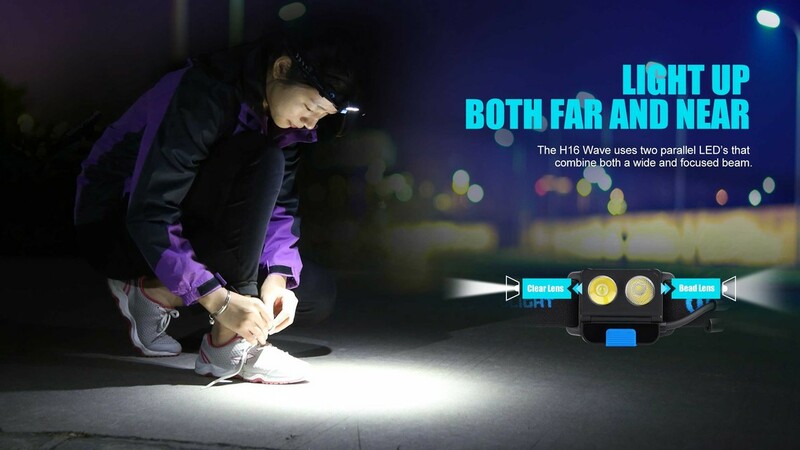 The Wave control lets the user turn the headlamp on and off with a simple wave of a hand! 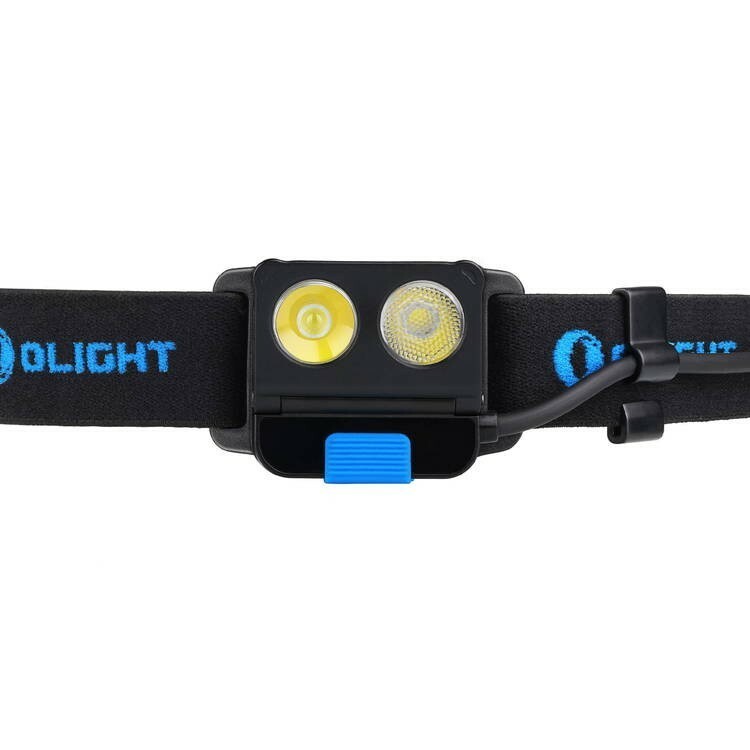 This hands-free activation prevents your light from getting dirty while you continue to focus on the task in front of you. 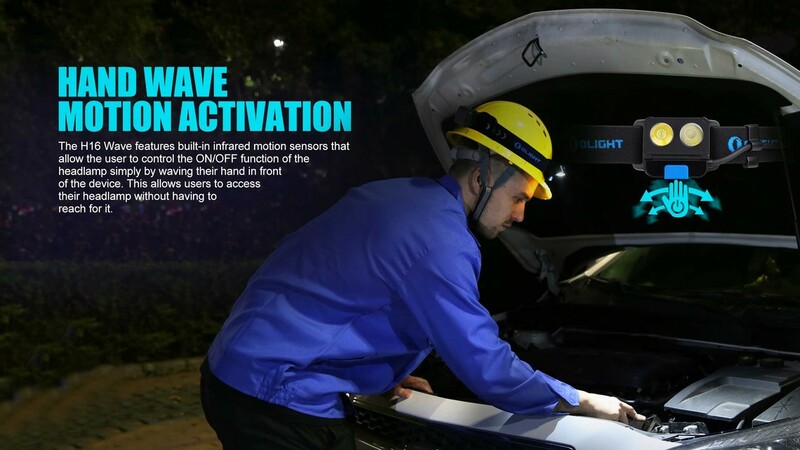 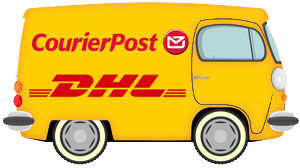 And for those who prefer the hands-on approach, the manual activation button is located centrally on the face of the headlamp. 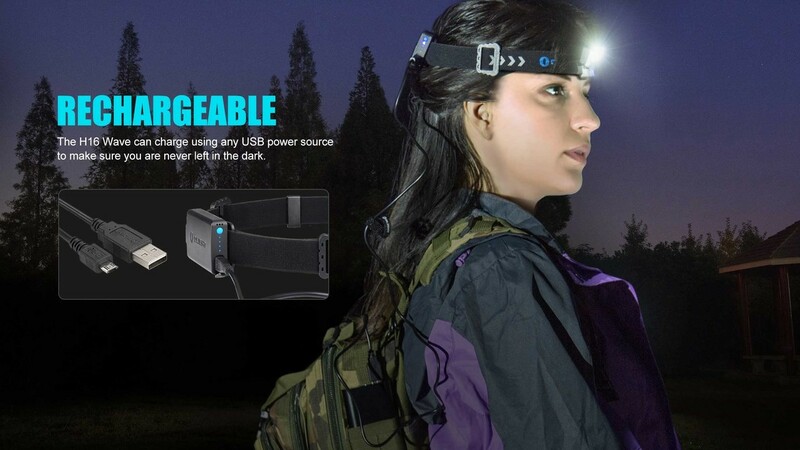 USB rechargeable with a Dual beam output. 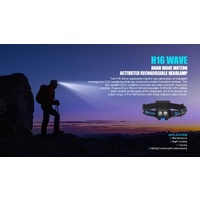 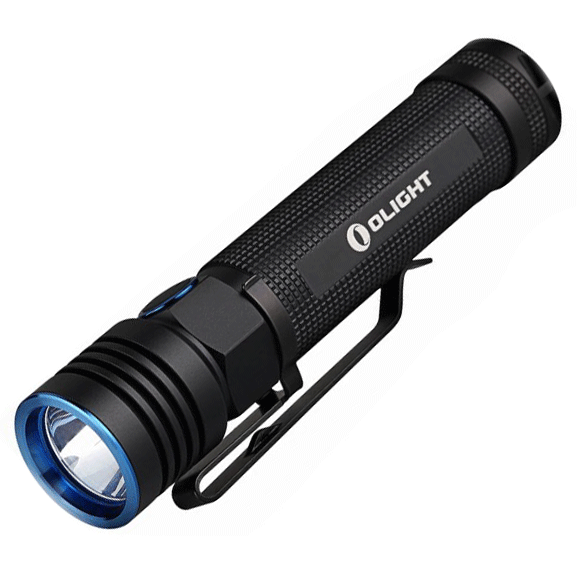 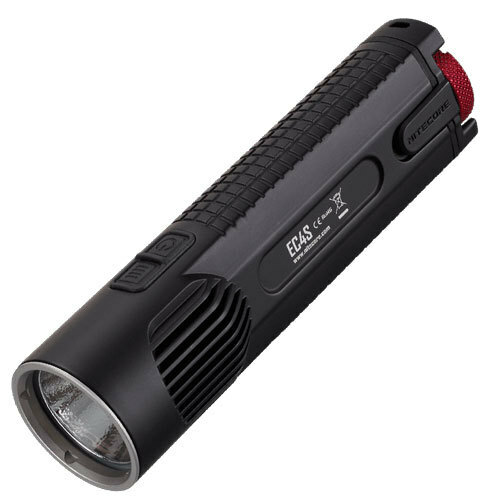 This Olight H16 Wave has an internal battery and uses USB charging.